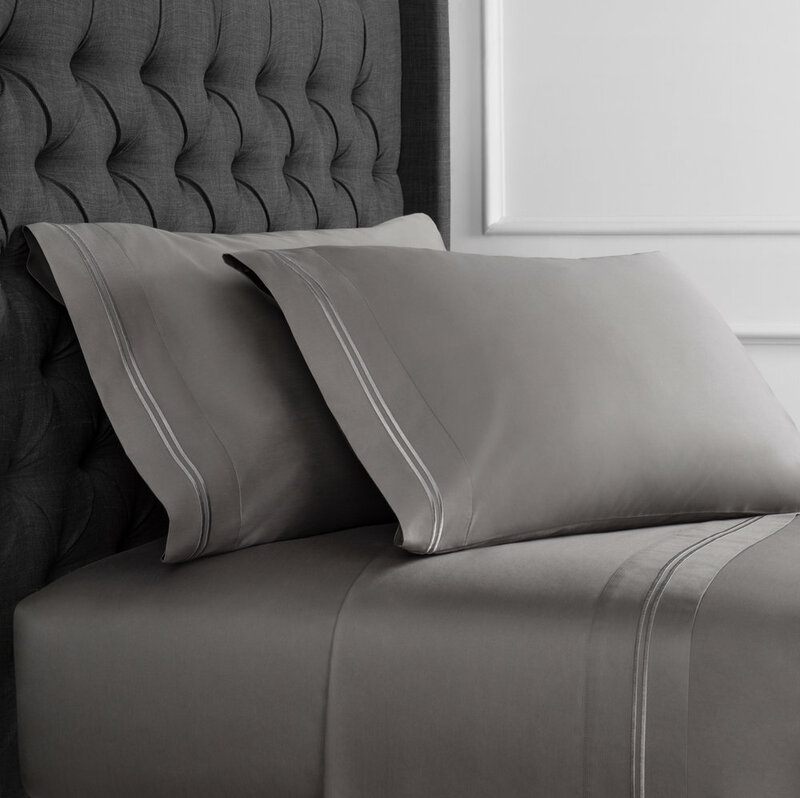 Our single ply 600 Thread Count Sateen Bedding sets are woven using high quality 100% Cotton. 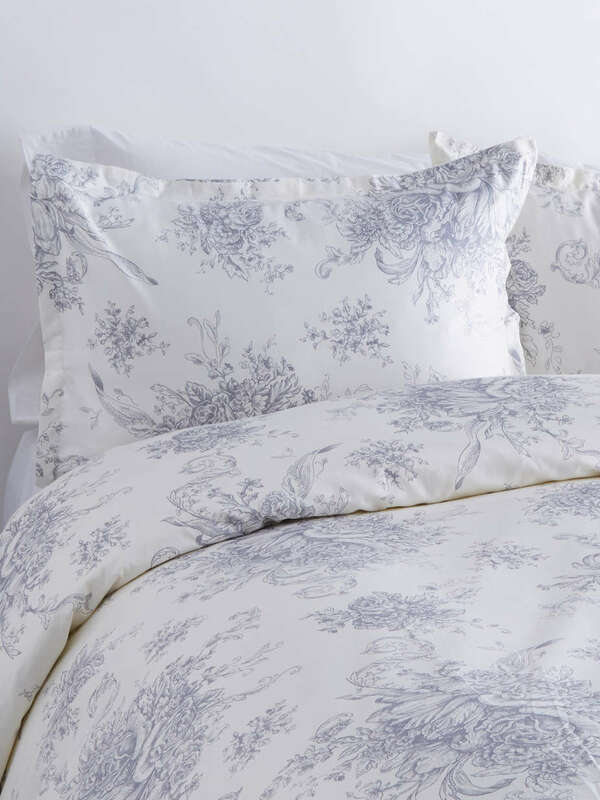 This long staple cotton allows for spinning extra fine threads that are loomed into luxurious bedding. We finished this set with Two Stripe Embroidery - producing the ultimate in comfort and elegance at an affordable price. Sheet Set Includes Flat Sheet, Fitted Sheet, and Pair of Standard Pillow Cases. 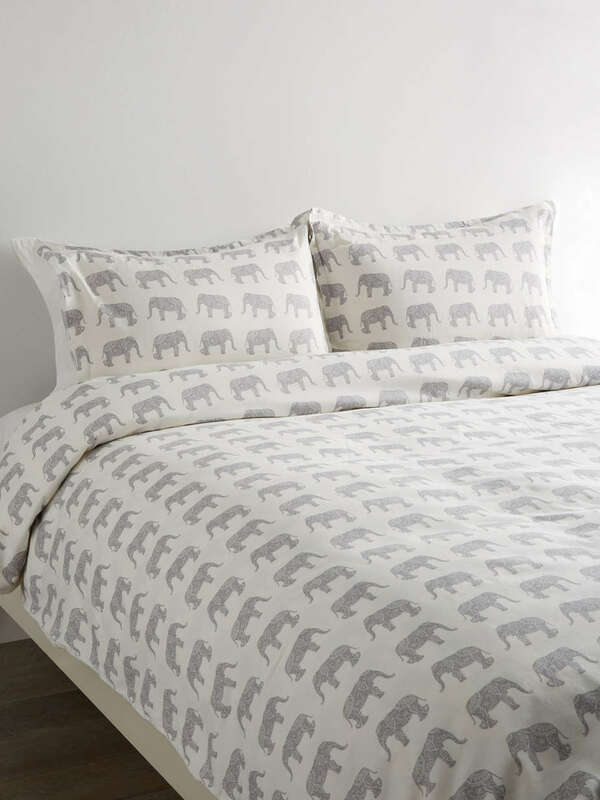 Duvet Set Includes Duvet Cover and Pair of Standard Shams. 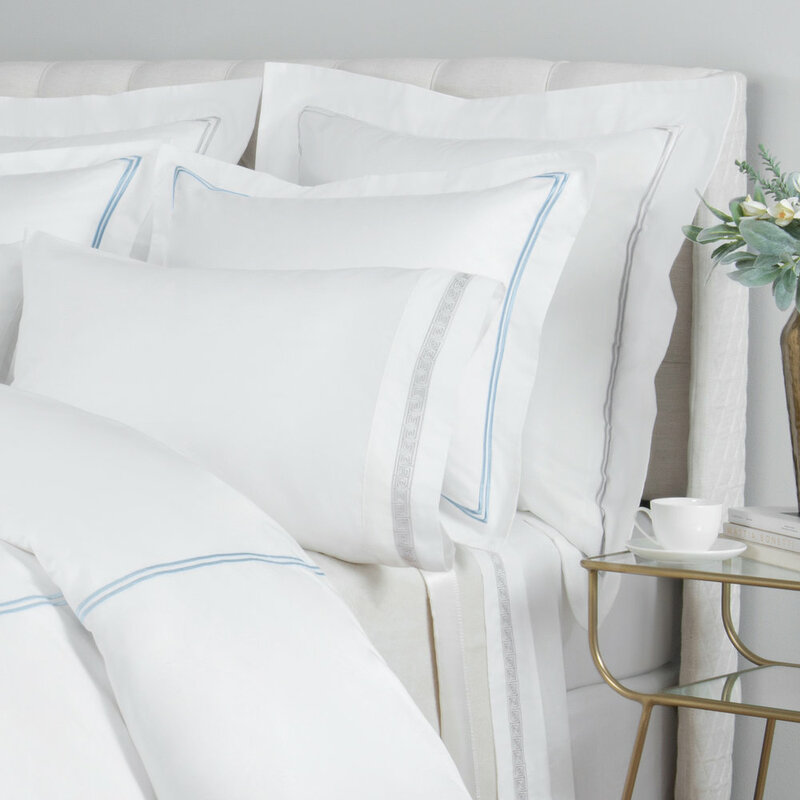 Our 300 Thread Count Percale Bedding sets are woven using extra fine cotton yarns and by interlacing one single warp thread over one single weft thread in a 1:1 ratio. 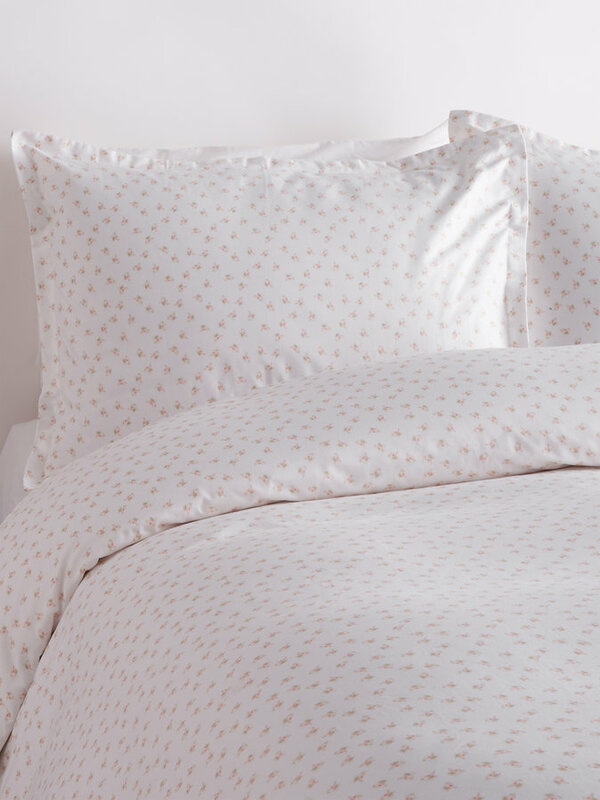 This finer Percale fabric never pills, it is crisp and cool to the touch with a matte finish. 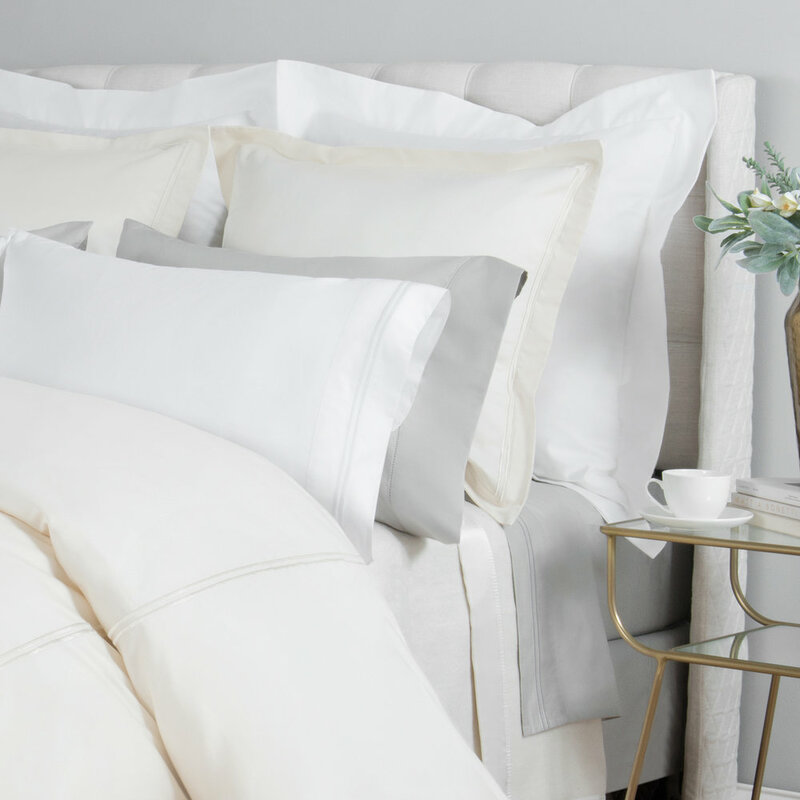 Our Percale linens are one of the best investments you can make in bedding. 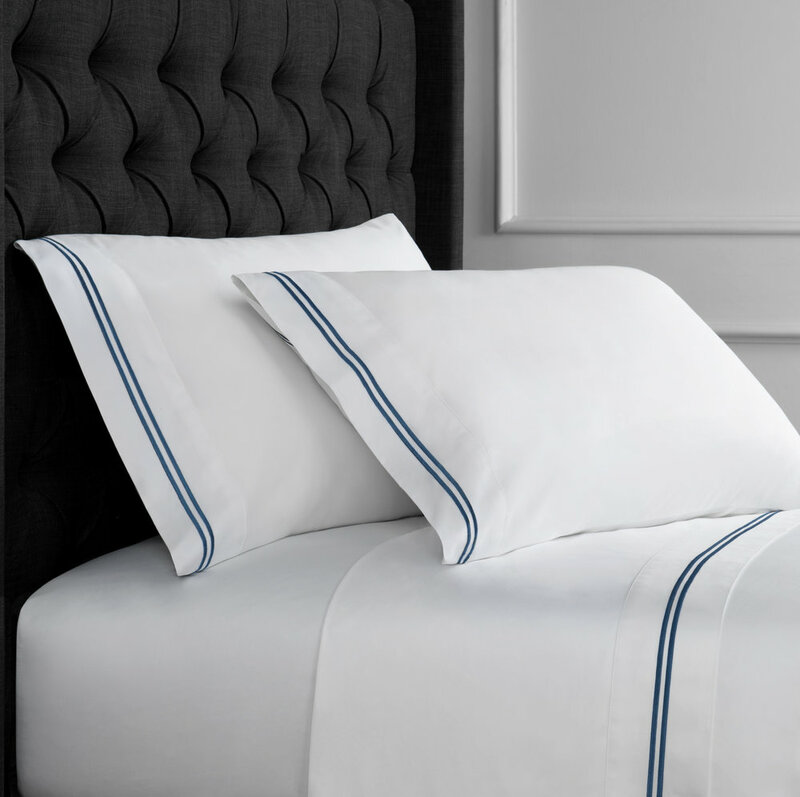 Our 400 thread count 100% cotton printed sheet sets, are soft and smooth to the touch. 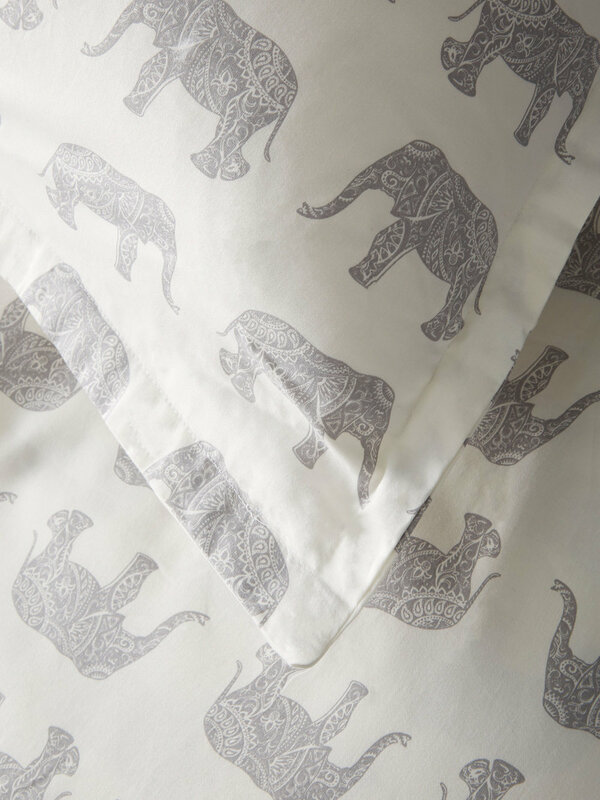 Our fine printed sheets are woven to produce a nice lustrous sateen finish.